The Body Love Oral Spray may help you to develop acceptance of yourself and your body, appreciation for who you are, and help you to focus on your own personal needs. Acknowledge and nurture who you are, how you look and your innate natural beauty. Billy Goat Plum, Five Corners, Flannel Flower, Little Flannel Flower, Philotheca, Pink Flannel Flower, Wisteria, 67% Purified Water, 33% Brandy (12.5% alcohol). 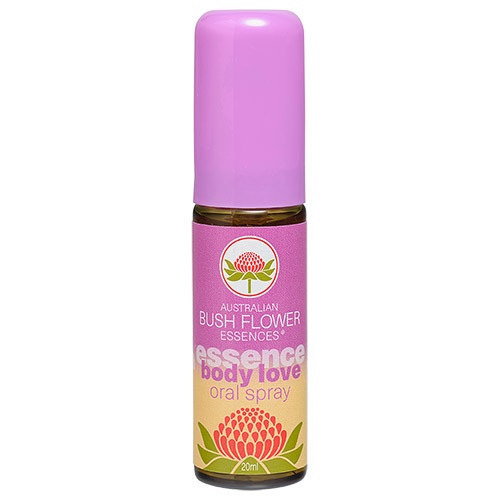 Below are reviews of Australian Bush Flowers - Body Love Spray - 20ml by bodykind customers. If you have tried this product we'd love to hear what you think so please leave a review.